Sometimes staying safe on the job means you need to be seen. Wrangler makes it easy (and comfortable) with this Wrangler Riggs Men's Safety Orange 3W700 SO Short Sleeve Pocket Tee Shirt. Engineered for the rigors of a hard day's work, it's as tough as it is com ... (see full details) (see specifications) #WRG3W700SO. Sometimes staying safe on the job means you need to be seen. Wrangler makes it easy (and comfortable) with this Wrangler Riggs Men's Safety Orange 3W700 SO Short Sleeve Pocket Tee Shirt. Engineered for the rigors of a hard day's work, it's as tough as it is comfortable, constructed of 7-ounce 100% cotton ringspun jersey that delivers soft and strong natural comfort. Taped and vented side seams and a taped neck seam add comfort and durability, and a tagless label does away with the scratchy discomfort of a tag. An easy-going relaxed fit means you have plenty of room to move when wearing this hardwearing tee top. It's made for work and all the bending, twisting, and turning that goes with it. For convenience, this versatile tee features a left chest pocket and hidden utility loop. Replace those worn out ordinary tees and enhance your visibility in standout style with this Wrangler Riggs Men's Safety Orange 3W700 SO Short Sleeve Pocket Tee Shirt. Order yours today, right here at Working Person's Store! 122 out of 122 people found this product review helpful. I have one of these Orange Wrangler Tee Shirts, but I plan to order another one, because this particular Tee is one of my very favorites! I have other colors that I do wear to work, but I never wear this Orange one to work because it's the only one I have right now and it's way too Nice of a Shirt to ruin at work. I'm kinda partial to the color Orange anyway, so needless to say, I LOVE this Tee! In my opinion, this Orange Tee looks good enough for going out on the Town or any casual event, which is exactly what I do. This is a Nice Heavy material that is 100% Cotton, has held its shape after many, many washings, and I'm also amazed at how well it has maintained its Bright Orange color after more than 3 years. I would give this particular Tee 10 Stars in my Book!!! 81 out of 81 people found this product review helpful. I was so glad to finally find a safety-colored pocket t-shirt made from 100% cotton and was made of heavy enough material that will be durable over the long run too! I resisted buying "cotton/polyester blend" t-shirts because from my experience, they really cause me to perspire a lot when I'm working on only a moderately warm day and they won't let me cool down either... and that's with a 90% cotton/10% polyester blended t-shirt! These Wrangler Riggs t-shirts, which are made of 7.1 oz material, remind me of the way JCP's Towncraft t-shirts used to be made back in the 60's and 70's. They're made from good heavy cotton material that will last and of 100% cotton that will keep you warm in the winter and cool in the summertime. I didn't realize what a major difference it is between the 6.1 oz and the 7.1 oz materials. Yeah, they cost a little more but they're 100% worth it and still not as expensive as buying a Carhartt! I am extremely pleased how well these shirts are made and so will you be too. Lastly, the Bright Orange and Safety Green are definitely safety colors I would HIGHLY RECOMMEND if you ever work along roadsides. (And they're both 100% cotton too!) Great for work wear. These are the best pocket tees, especially for the price, I have bought in years and I'm glad I did! 57 out of 57 people found this product review helpful. You may get tired of seeing my reviews, but I own many of these shirts in several different colors. This is, hands down, the best work shirt made. It's stitched for durability and it's good and heavy. I've yet to have one wear out. It's the only thing I wear, at work and at home. 51 out of 51 people found this product review helpful. When they put me on the road, it didn't take me long till I knew I better get me some shirts that say "Hey, I'm Here". This one does the trick real good. The boss was pleased that I took my safety seriously. Now he is getting all the guys some. 35 out of 35 people found this product review helpful. My guys are better seen out on the road in these shirts. Thanks Working Person lady who helped me with my order. All went fine. 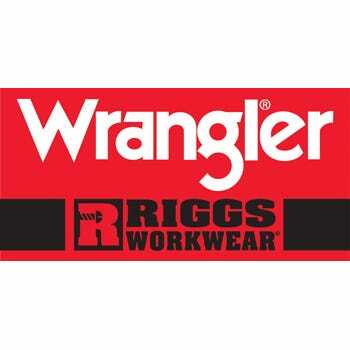 Wrangler Riggs Shirts: Men's Safety Orange 3W700 SO Short Sleeve Pocket Tee Shirt is being added to your cart.